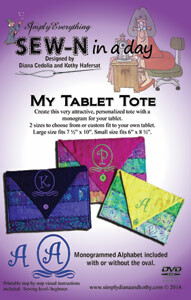 Create this very attractive, personalized tote with a monogram for your tablet. 2 sizes to choose from or custom fit to your own tablet. Large size fits 7 ½" x 10". Small size fits 6" x 8 ½". 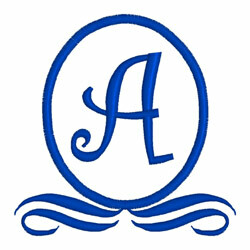 Monogrammed Alphabet included with or without oval. 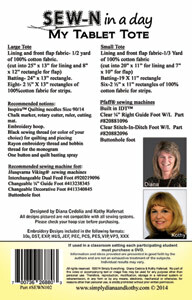 Printable step by step visual instructions included.